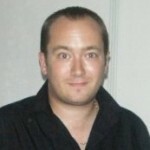 The developer of OrganiDoc HD, Wenjoy Technology, cleverly describes the iPad as your personal data hub, and they are correct. You use your iPad for everything, from editing documents to reading PDF files to creating business and financial reports, and everything in-between. The problem has always been actually getting at that data. iTunes can best be described as ‘limited’ in this regard, and there is no real way to browse the files on your iPad without getting a third party app. There are ways to import various files from different sources, such as the cloud for example, but the issue here is that to do all this requires a lot of different apps. Wenjoy have provided an all-in-one solution that not only solves a lot of these problems, but also does it in a stylish and user friendly manner. To be honest, the user interface is my favourite part of OrganiDoc HD. I find it really easy to use, and I guarantee that you will be pulling down documents from online accounts, viewing PDF filess and grabbing items from iTunes just like the app was built into the iPad from the start. It really is very intuitive. ★Simply transfer docs, pics and videos from your PC through iTunes enabling browsing and management anytime, anywhere. ★Revolutionary way to present your files in their respective presentation and interfaces, allowing more efficient file management. ★Manage your docs, pics and videos in both public and protected mode. ★Easily save your attachments within email to OrganiDoc HD. 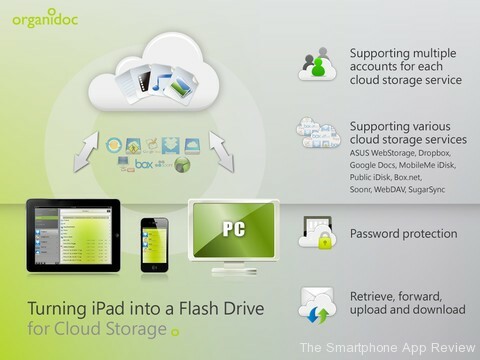 ★Use free Dropbox, Google Docs or other cloud disk services for backup remotely and download them on demand to your iPad. ★Observe sharing status of your Google docs or Dropbox on iPad anytime. ★Compression files such as ZIP or RAR can be extracted in OrganiDoc HD. Password protected ZIP or RAR are also supported. Files and folders can be compressed to a ZIP file. ★Use OrganiDoc HD as your one stop file management app for emailing or dispatching file to other apps for further editing. ★Use Wifi to transfer file from PC to iPad when there is no access to USB cable. ★Support Air print features to print out files in iPad easily. ★Support TV out features. 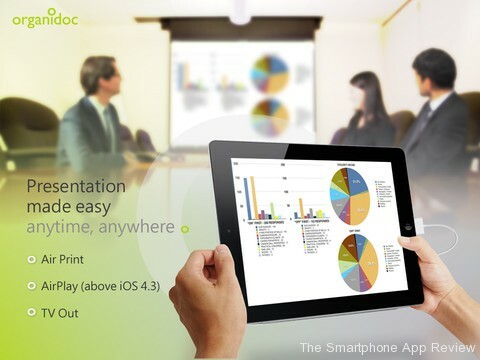 Users can easily connect iPad to TV or projectors to do presentation. ★Pics are saved with complete information such as GPS, focus, resolution and so on. ★Converting wmv, flv, f4v, rm, rmvb, avi, mpg, asf, mkv, 3gp video files to iPad playable mp4 or audio-only mp3 files. During the conversion, you can still play other video files. • Web files (htm, html, xml, svg), Safari Web Archives (webarchive). Perhaps one of the most impressive features is the addition of TV out support for presentations, thus removing the need for yet another app. For business users, this kind of thing is invaluable, as is the Air Print integration and the brilliant ability to actually extract ZIP and RAR files. The app also creates a private, password protected area for your documents. The only thing I feel is missing is the ability to select multiple files at once, but perhaps that may arrive in a future update. Overall, OrganiDoc HD really feels like the missing part of your iPad, and its all in one approach really pays dividends for the end user.